Izzie and ghost Denny share a passionate embrace. 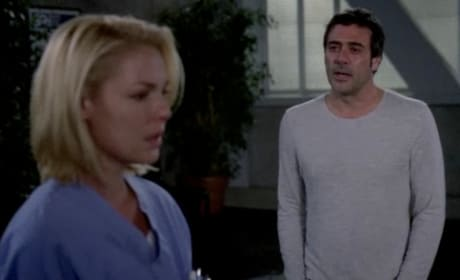 Izzie and Denny have it out on Grey's Anatomy. He vanishes, possibly for good, shortly thereafter. 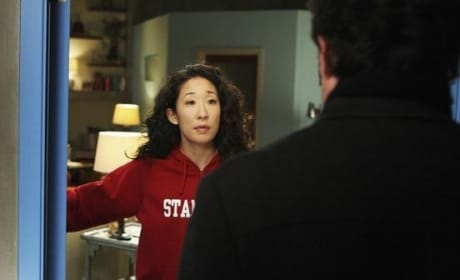 Derek and Cristina have a conversation in this photo from "Stairway to Heaven," from the fifth season of Grey's Anatomy. 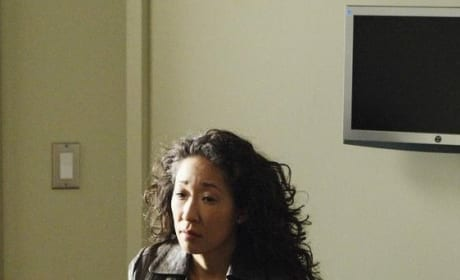 Cristina takes a moment to collect her thoughts in this photo from "Stairway to Heaven," from the fifth season of Grey's Anatomy. Callie Torres smiles ear-to-ear in "Stairway to Heaven," from Season 5 of Grey's Anatomy. 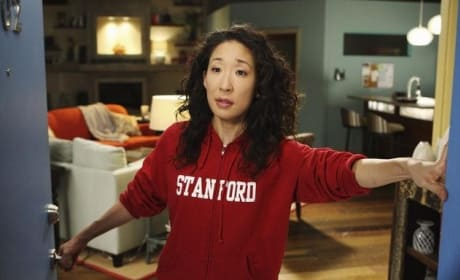 Cristina shows her Stanford pride in "Stairway to Heaven," from Season 5 of Grey's Anatomy. A nice photo of Callie (Sara Ramirez) in "Stairway to Heaven," from Season 5 of Grey's Anatomy. 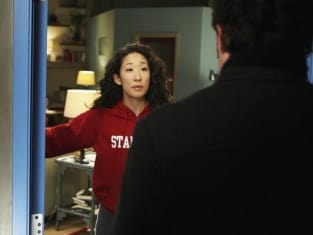 Cristina presumably knows, but we'll have to wait to find out!